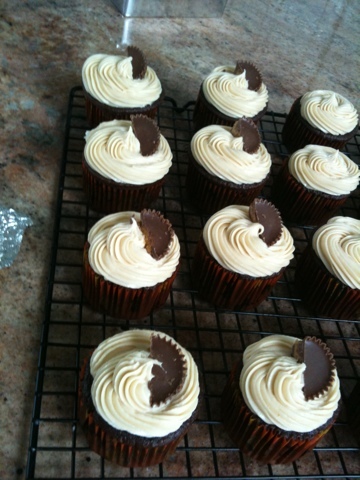 Today I made devil's chocolate cupcakes with homemade peanut butter icing. 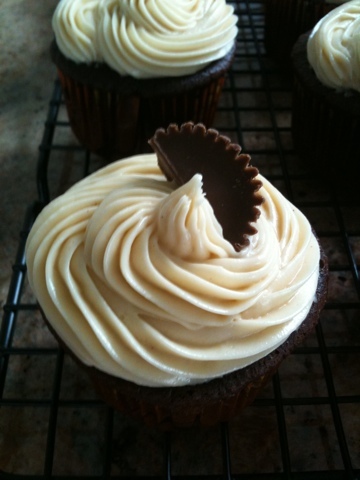 I added mini reese's peanut butter cups to each. Yum!